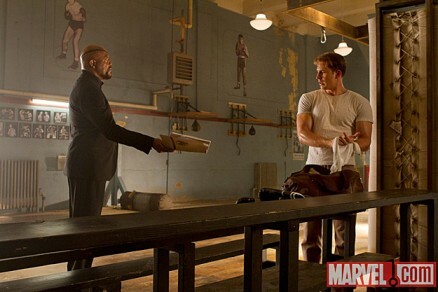 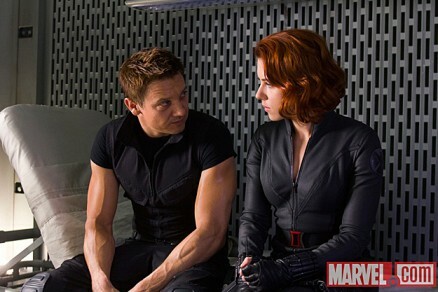 /Film (via Marvel.com) has posted five new photos from THE AVENGERS. 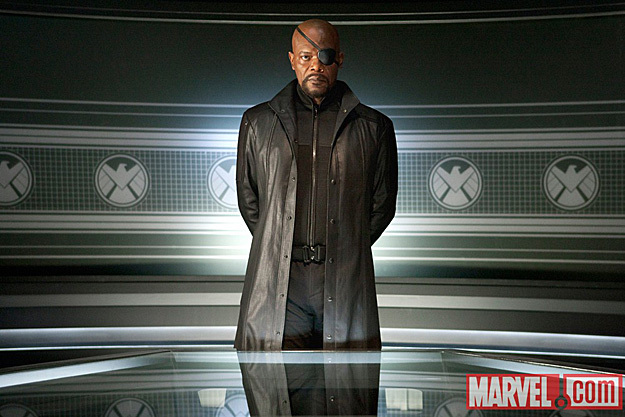 There’s nothing too exciting about here, but as /Film points out, it looks like Nick Fury’s eye has something going on in one of the photos. 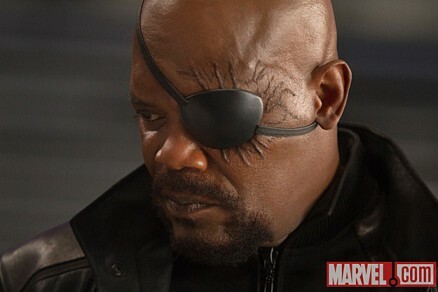 It reminds me of what Robert Downey Jr.’s chest looked like in IRON MAN 2 when he had palladium poisoning. I highly doubt that’s what Nick Fury is suffering from, but I have a feeling Loki is behind it. 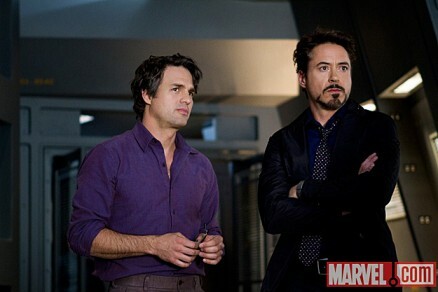 THE AVENGERS opens everywhere May 4th, 2012.